Hello everyone. 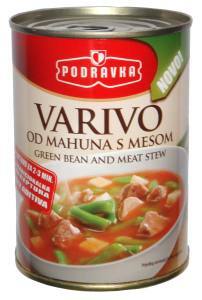 I made contact with company that makes Croatian IBO rations and he was kind enough to share some informations. So there are 7 types / menues available, until now we didn't knew this number or knew what's inside some of them because we did managed to get 2 and 3, and by sheere luck type 4. So we did know there's type 1 but not what's inside, not to mention menues 5 - 6 - 7 we didn't even know they exist until this moment. Last edited by [ex-Member1] on Fri Apr 20, 2018 3:53 am, edited 9 times in total. Last edited by [ex-Member1] on Sun Jan 07, 2018 7:11 am, edited 7 times in total. Perfect bro i like what u doing..
How can I get my hands on one or two of these? kwiklot wrote: How can I get my hands on one or two of these? hope soon we will have few of them then we will message u asap..
That sounds awesome any idea why they are so hard to come by? I would also be interested in acquiring one of these, especially after Steve's glowing review.